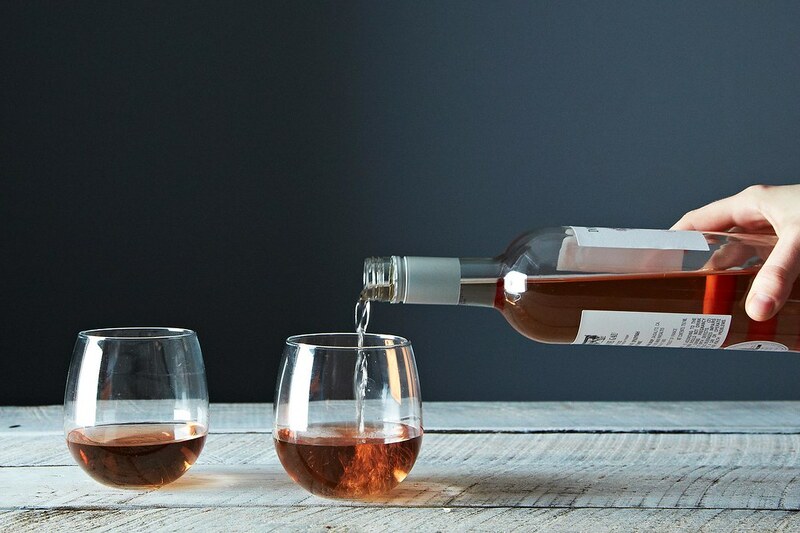 Today: Reevalute your cold weather wine choices — rosé just might surprise you. It’s October, and I’m here to talk about rosé wines. It’s not because I am woefully behind on my deadlines. 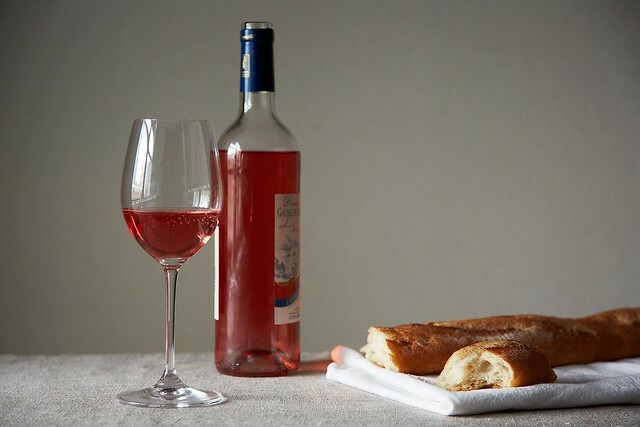 Rather, rosé is gaining popularity as a versatile year-round option thanks to its refreshing character, its typically low alcohol content, and its exceptional ability to pair with a range of heartier dishes. 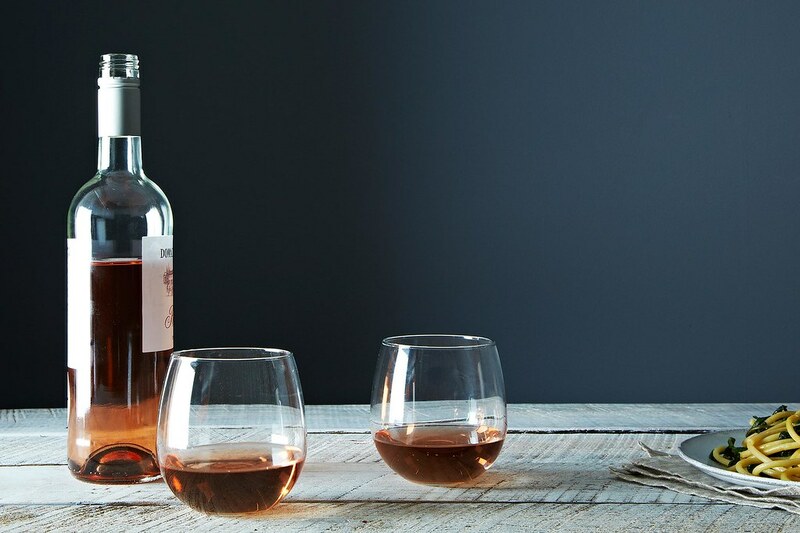 It’s time to rethink rosé, for the winter months. When you’re looking for cold weather rosés, consider their flavor, texture, and color — the latter is the easiest place to start, since it is the most visually distinguishing characteristic. If you line up three or four bottles of rosé, what you’ll probably notice first is the variety of colors, from pale pink to smoked salmon to an almost candy-apple red. That variation is due partly to the grapes the wine was made from: Some have more pigment in their skins, others have less. This color variation is also due to how the wine was made and how much time the juice spent in contact with its grape skins. Keep in mind that a deeper color doesn’t automatically translate to a richer wine, so darker-colored rosés don’t necessarily pair better with cold-weather food. The wines that do pair better with more wintry dishes will have body and acidity and aromatic qualities that complement the ingredients in the recipe. Take the 2013 Rosé de Chevalier, from Bordeaux. It’s certainly closer in color to a red wine — perhaps a very light Pinot Noir — than the salmon-colored rosé wines we’re most used to. But unlike muted, matte red wines, this one is nearly translucent, shining in the light like a ruby. Its aromas of red currant and vanilla spice offset a vegetable dish like Wintery Braised Red Cabbage, or a main dish like sausages served with Pluot and Apple Chutney alongside (as AntoniaJames recommends). Three other rosé wines that make a strong visual impact are the Artazuri Garnacha from the Navarra region of Spain, the Charles Joguet Chinon rosé from France’s Loire Valley, and Lava Vine’s rosé of Cabernet Sauvignon, from Napa Valley. They are each grapes that, normally, form the backbone of more iconic wines from their regions, so to see them “out of context” in a rosé is a special visual treat. Right around this time of year, in the northern hemisphere at least, the grape harvest is coming to a close. Grapes are cut from the vines, destemmed, pressed into juice, and set to ferment or “cook” in the winery for various lengths of time. Rosé is normally moved from fermentation tanks into bottles while it’s still very young and fresh, often between January and May of the following year. Most rosé is on the shelves soon after it’s bottled and is most popularly drunk in the summertime. But the wine still evolves in the bottle so that, if you leave it to age into the winter months, some savory flavors will have developed, depending on the grape. Rosé made from the Chiaretto grape, for example, is produced in the area around Italy’s Lake Garda. There, locals have transitioned away from limiting their enjoyment only to the late summer months. Now they drink it year-round, appreciating the different phases of rosé. In winter, aromatic notes of cinnamon and clove develop and emerge as Chiaretto rosé ages in the bottle. As a result, it is not uncommon to see the Chiaretto on the holiday table, and it pairs especially well with a special (truffle-enhanced!) seasonal dish like Deb Perelman’s Mushroom Bourguignon. More: On that note, start planning your next wine and cheese party. The production of Bardolino Chiaretto is naturally limited by its geography but several labels are available in the US. Look in particular for winemakers like Le Fraghe, Guerrieri Rizzardi, and Monte del Frà. It may seem strange, but I love encouraging people to experiment with sparkling wine at different points of a meal rather than only at the beginning. These wines offer a rainbow of options — in colors, flavors, and textures. Imagine how the texture of a sparkling wine offsets the creaminess of risotto, for example. Or how the fruit of a sparkling rosé complements the fruit of a dessert like Crème Frâiche Panna Cotta. What you’re looking for are sparkling rosé wines that are fresh and savory, without the heaviness that some creamier sparkling wines can carry. Try the sparkling wines of Franciacorta, from the Lombardy region of northern Italy: They strike an equilibrium in the mouth, a balance of fruit and acidity that makes them especially appealing to serve throughout a meal. Plus, their lower alcohol and higher acidity mean that they are great matches for many dishes on your cooler-weather table. Look for the 2008 Cellarius Rosé from the Berlucchi estate — it’s made from the same grapes as those used in Champagne, but at a lesser price point. The Cellarius Rosé combines the elegance of Chardonnay with the red fruit of Pinot Noir, and skin contact with the Pinot Noir grapes gives the wine its color. Berlucchi also makes a wine called ‘61 Brut Rosé, whose Pinot Noir fruit gives it a warmer tone and fuller texture. As the weather turns cooler, you might be tempted to leave rosé and its summery reputation behind. But opening the door to rosé, even as winter sets in, broadens the repertoire of flavors, textures, and colors to add to your food. Embrace the versatility of these wines, and you’ll be adding vibrancy to your cool-weather meals.